(Gainesville, FL) – The Drotos Ryals Group is pleased to announce the successful sale of 3.38 acres of land along SW 37th Blvd overlooking the Archer Road retail corridor in Gainesville. The parcel was purchased by Dada Bhagavan Hospitality, LLC. from Prairie View Trust. The overall project also includes a second 1+ Acre parcel that is currently under contract with an area bank. That transaction is expected to close February 2017. The 113 Room hotel has started construction and is scheduled to open in September of 2017. 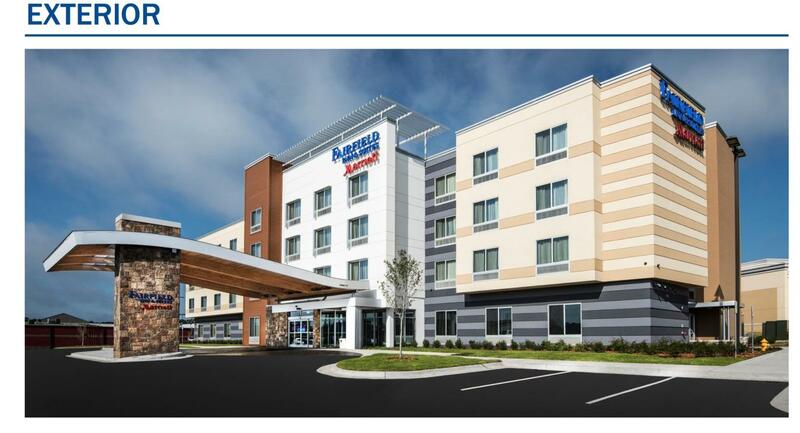 The Fairfield Inn & Suites Gainesville, FL will operate as a Marriott franchise, owned and managed by Dada Bhagavan Hospitality LLC and Lake City Hotels Inc. This is the first Fairfield Inn & Suites in the area to feature the brand’s new design and décor, which will enhance the guest experience through flexible features, and a warm and welcoming environment. Located on SW 37th Boulevard overlooking Archer Road, the Butler North Expansion, and in close proximity to I-75 make it a convenient location for business and leisure travelers. The hotel will feature a 2,400 square feet of meeting space giving a much needed amenity to the area. “Delivering both function and comfort, our new design and décor elevate the Fairfield brand, setting a new standard in the moderate tier category,” said Nick Patel, Vice President of Development – Lake City Hotel Inc. At Fairfield Inn & Suites, we provide an easy, positive and productive travel experience, as well as the promise of consistent and reliable service at an exceptional value. 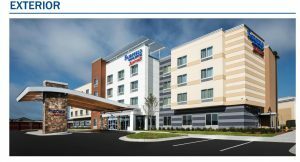 The Fairfield Inn & Suites will be truly a stunning example of the brand’s contemporary new look and feel, and we are pleased to introduce Fairfield Inn & Suites hotels in the Gainesville area”. The hotel features a spacious lobby giving guests ample connectivity options, as well as a “connect and print” area that offers both standing and seated Internet stations. Guests can also unwind in the lobby’s inviting living area with an organic-shaped sofa and lounge chairs. Additional hotel amenities include complimentary hot breakfast, an exercise room, the brand’s signature 24/7 Corner Market, valet laundry service, complimentary Wi-Fi, as well as fax and copy services. For all of your commercial real estate needs, please call the Drotos Ryals Group at 954-551-9846.